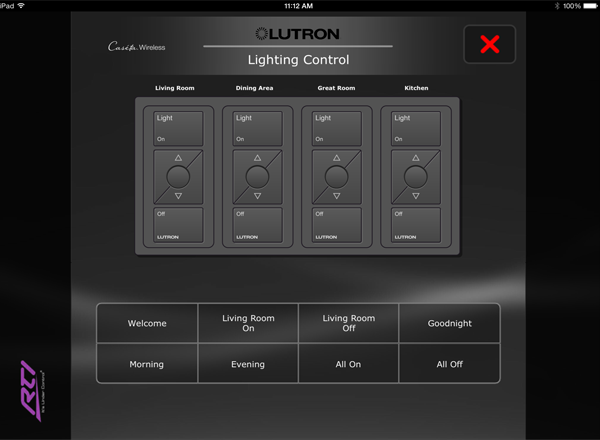 Little Rock's ONLY Certified Platinum Dealer of RTI© Home Automation SystemsRTI© makes using today's technology easy with a complete line of award-winning home control solutions. 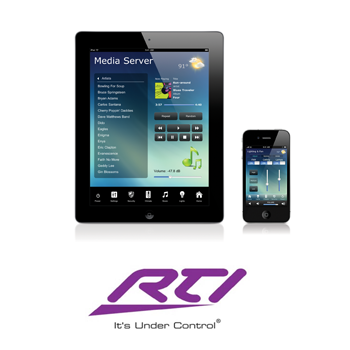 With the ability to control the home theater, whole house audio, lighting, HVAC, blinds, pool/spa, irrigation, garage doors, surveillance and security to name a few, RTI provides a simple, unified interface for today's home control demands. 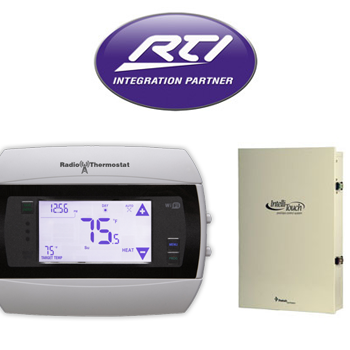 With a complete lineup of handheld and in-wall controllers, as well as powerful system processors, RTI products can be integrated into virtually any home environment for a truly enjoyable control experience. If you are planning to build a new home, be sure to browse our pre-engineered Home Automation Packages for New Construction. 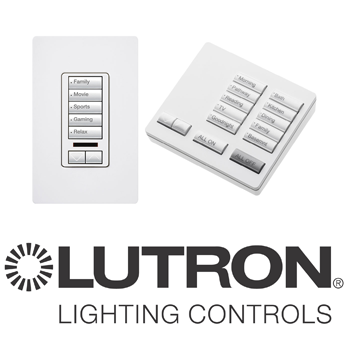 Control all the lighting in your home by pressing a single button. Our lighting systems not only simplify your life, they save you money in energy costs. Adjust your thermostats from the office so your home will be nice and warm when you get home, or simply set it to run daily schedules. 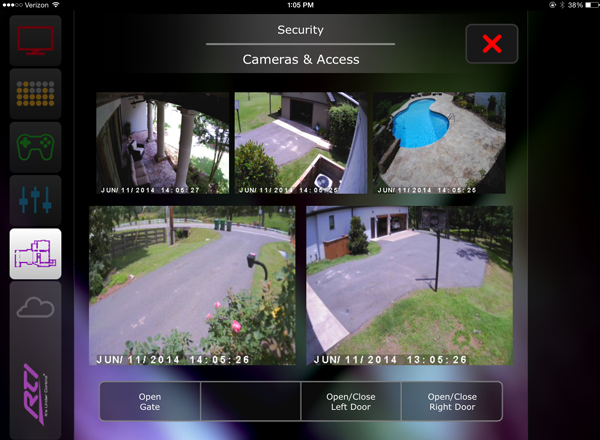 Monitor your home security system from anywhere in the world. Our integrated security systems can also trigger lighting and locks in an emergency. 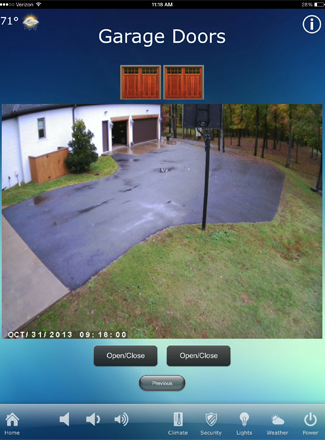 Seeing is believing, and with our integrated surveillance systems you can see every inch of your property from anywhere, home or away. With our controlled access systems you can make sure the doors are locked from anywhere, and then lock/unlock them as needed. No need for keys. Think you forgot to close the garage door? 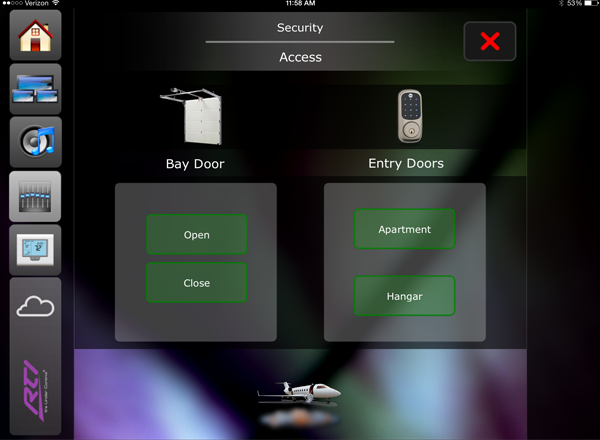 Our system will show you the status of the door and allow you to close it quickly and easily from your phone. 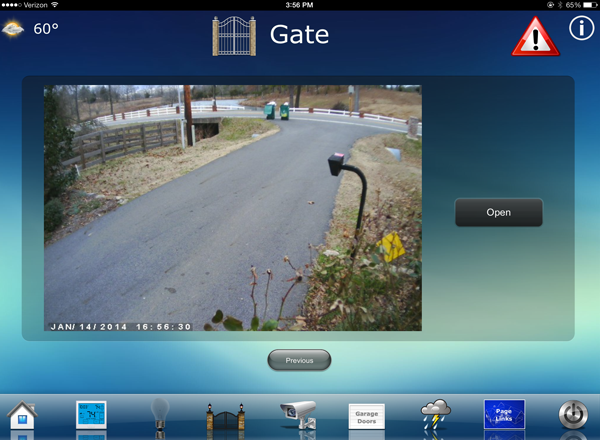 Receive a chime notification on your home audio system when you have a visitor, check the cameras and open the gate from anywhere in your home. Take control of your home irrigation system and eliminate wasteful watering during wet conditions and base schedules on current weather. Bring your home to life with whole home audio distribution. Listen to your favorite music anywhere inside or out. Integrated intercoms available. Start a movie in the Living Room, pause it, get in the bed, turn on the TV, press play and finish your movie. With our control system it's that easy. 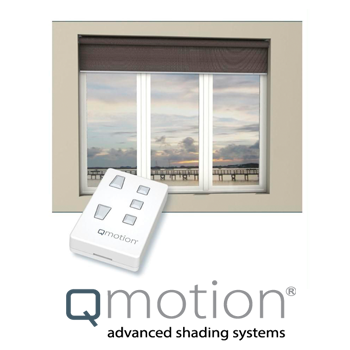 Our controlled window shades work hand in hand with the lighting and climate systems to increase energy efficiency in the home. 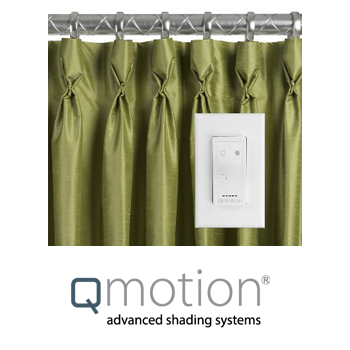 Whether it be stage curtains in the Theater or draperies in the Great Room, our controlled draperies add that extra wow factor to your smart home. Monitor your electronic systems from anywhere in the home or abroad. Set self healing reboot schedules so you never have service interuptions. 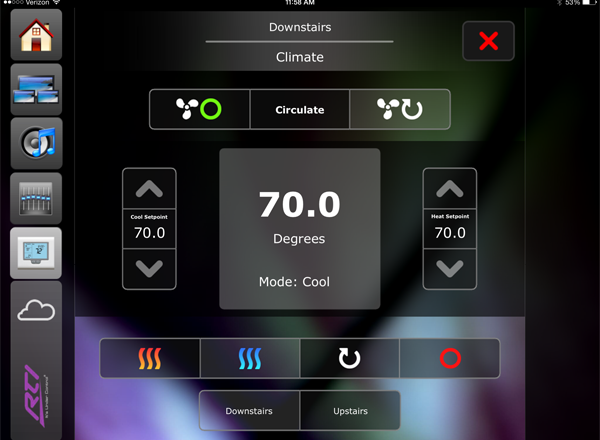 Monitor the temperature of your pool, sauna or jacuzzi without ever stepping outside. Kick on the pump or heater and have it ready when you are. 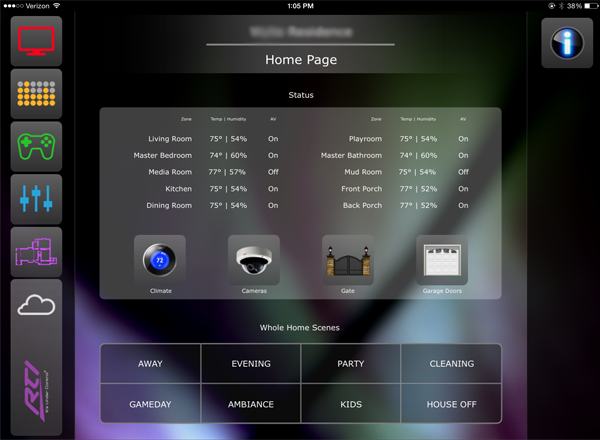 Control of all your smart home systems can be as simple as pressing a single button. Fully customized to fit your specifications. 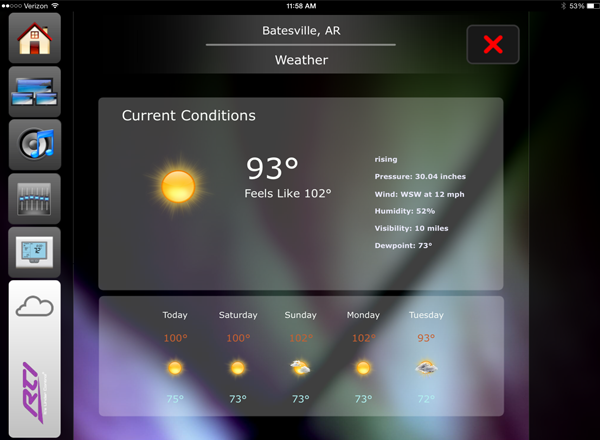 Have your home respond to current weather conditions and adjust climate based on outdoor temperature. Have your home notify you of severe weather. 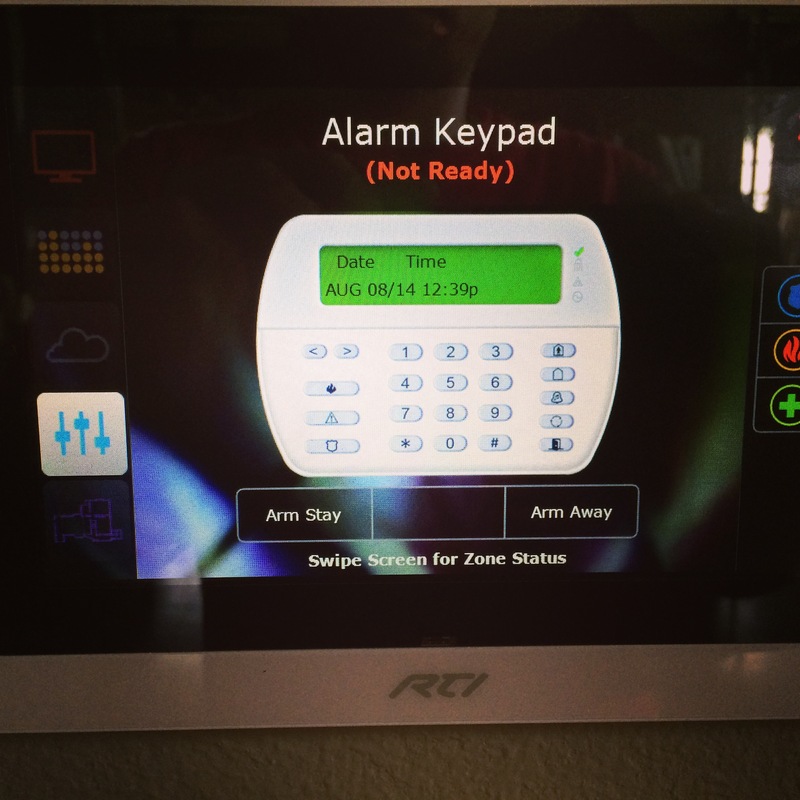 Control of your home is literally at your fingertips with our robust home automation systems from RTI©. Explore what these systems can do for you by downloading the brochure at the link below. 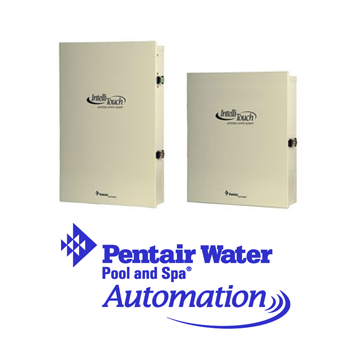 Are you in the market for a reliable, feature rich single room solution? 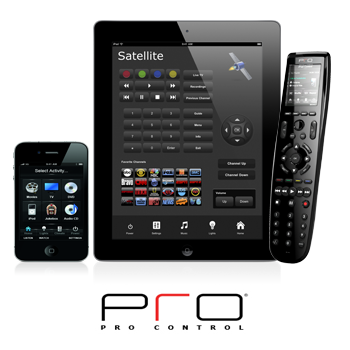 ProControl© systems are the ideal control solution for dedicated home theaters or media rooms when a whole home system is not available. The powerful ProLink.z processor can control all of your audio and video components as well as lighting and HVAC. 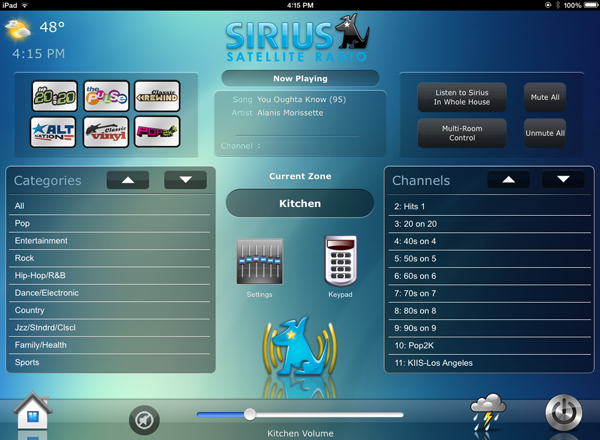 These systems are value priced and offer several options for handheld remotes. 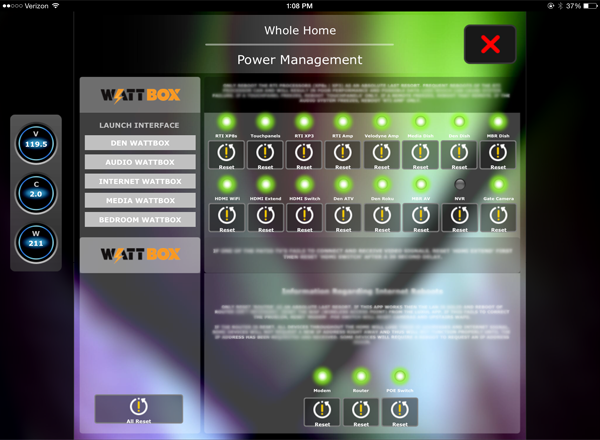 ProPanel™ allows you to control it all from your iPad. Download our brochure for more information. From whole-house audio and video, to lighting, climate control, window coverings and security cameras, experience the ultimate in environmental intelligence. 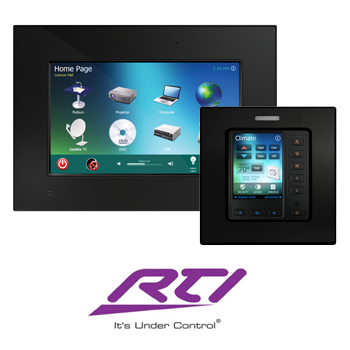 RTI touchpanel controllers combine unbelievable power with astounding simplicity of operation in a system that controls everything – but you. Are you tired of the remote control puzzle on your coffee table? 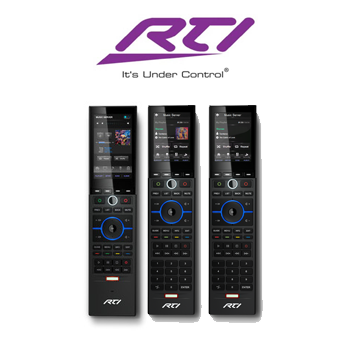 Access to your entertainment should be easy, and an award-winning RTI handheld remote control is the solution. 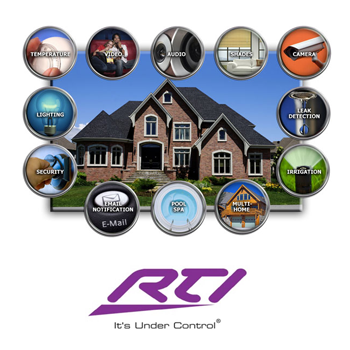 Combining unlimited customization with a powerful array of accessory devices, RTI controllers simplify your life and make the most of your technology. 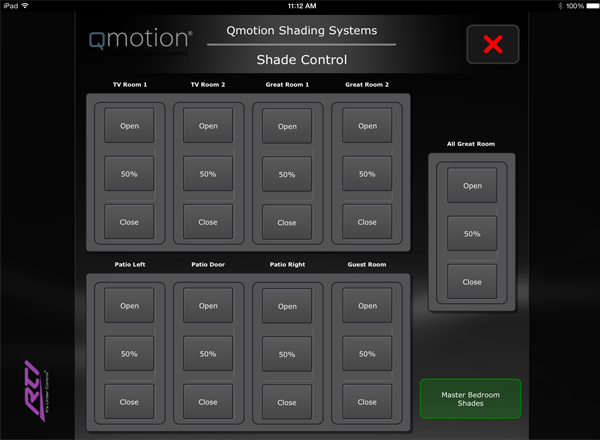 The award-winning RTiPanel app offers the same intuitive control experience RTI remote controls offer, running on Apple® or Android™ smart phones and tablets. Providing secure local or remote access to an RTI XP series control processor from any Internet connection, the RTiPanel allows for LAN control via WiFi and WAN control off site. CLICK HERE TO VIEW EXAMPLES. RTI© home automation systems have been awarded the "Works with Nest" seal for seamless integration into your whole home automated experience. 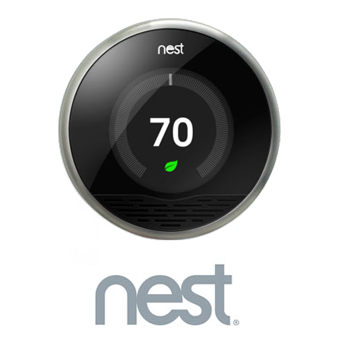 FX Pros is a certified installer of Nest products. With the RTI Integration Partner Program, RTI has reached out to many industry manufacturers (partners) to ensure that the RTI products integrate and play well with others. All RTI products have been designed with a very open architecture; understanding it is critical that these control products interface seamlessly with other integration products on the market. To ensure a successful integration RTI offers many solutions for control interfaces: RS-232, relay and Ethernet control as well as power sensing modules to monitor and react to the power status of devices in the system.